Like these beautiful wallpapers and lock screen backgrounds on newly installed Windows 10 computer? 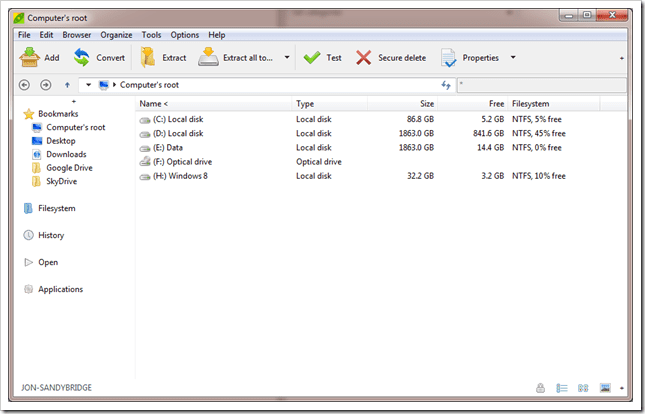 Wondering where they are stored on your computer so you can retrieve them for your own use? Let’s find out. Open File Explorer (press Win+E), navigate to this folder, and you will see 3 folders there, 4K, Screen, and Wallpaper. The Screen folder is where all Lock Screen backgrounds are stored. Here is what you will find out if you go into it. 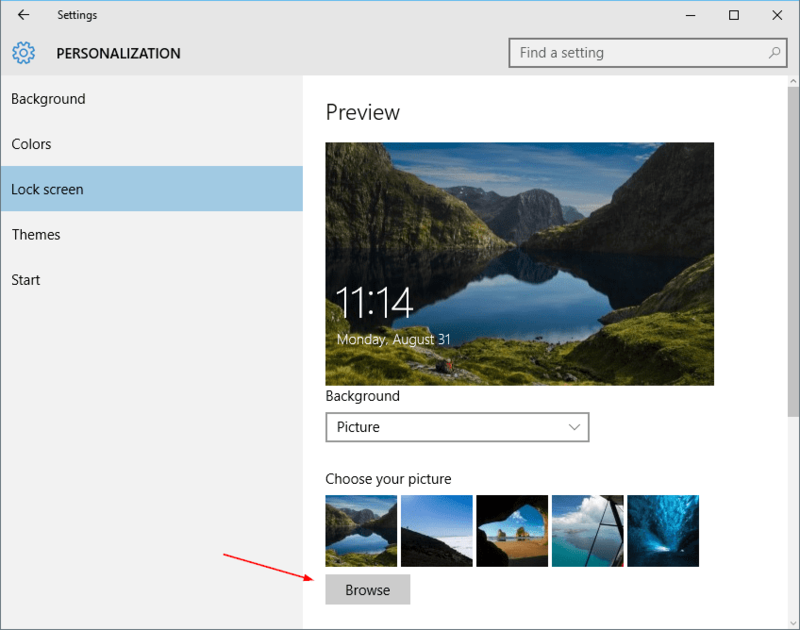 Note that adding more pictures into the folder won’t easily get you to set a different Lock Screen background in Settings, since it only lists the first 5 pictures in Personalization. 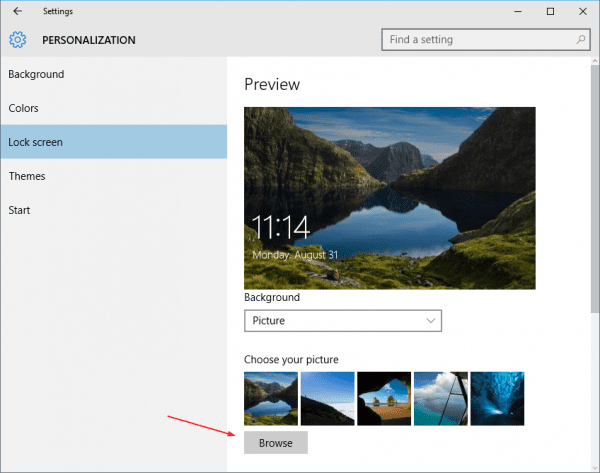 But you can use the Browse button to pick a picture from your own list. The Wallpaper folder is where all theme’s wallpapers are saved. If you haven’t installed any themes, these are 3 themes by default that come with Windows 10. And they are stored in Wallpaper folder like below. Now what is this 4K folder for? I’ve got no idea. Judging by the name of it, it should be the home for all spectacular images at 4K resolution. But that doesn’t seem to be the case, at least for now, if you look at what’s in that folder. 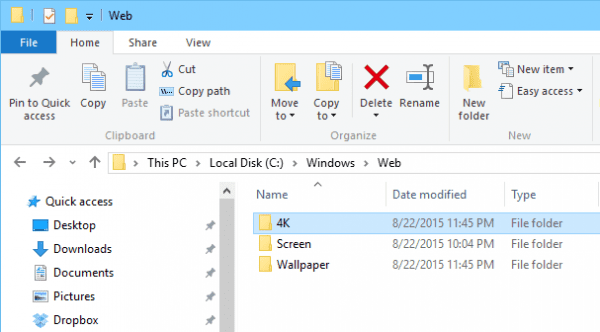 Note that this folder only stores all default themes that come with Windows 10 installation. 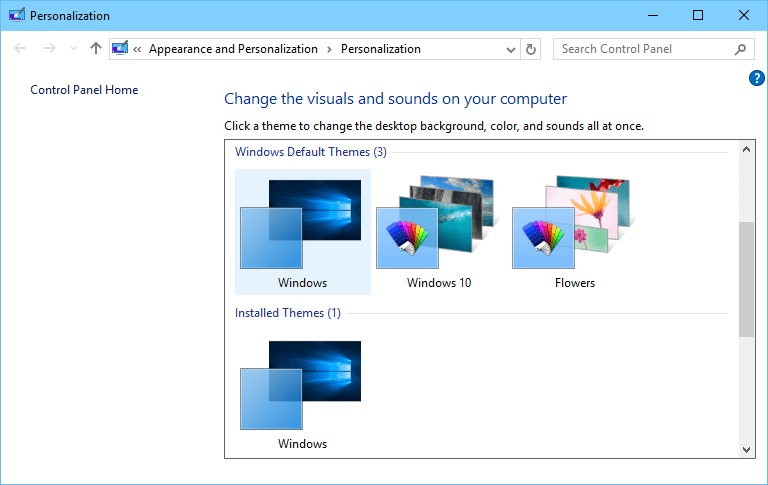 Any themes you downloaded afterwards are saved in your own user profile in the following location. 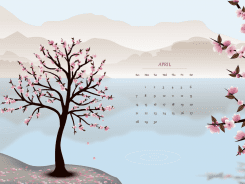 You can retrieve all wallpapers from there.